A One Bedroom Ground Floor Apartment in the heart of Universal Area of Kato Paphos where many Amenities are within Walking Distance. The Apartment is being brought onto the open market in very good condition and boasts a Large Private Veranda and rear Patio Garden. The Front Veranda is about 14 sq. m. The Main Entrance leads into the Living/Dining Area which is Open Plan to the Kitchen. The Kitchen is equipped with wall and base units and white goods and separated from the dining area by a breakfast bar. The door from the Kitchen leads out to the Large 40 sq. m. Rear Private Patio Garden. The Double Bedroom is of a good size and has fitted wardrobes. Sliding patio doors lead out to the front veranda. The Modern Family Bathroom is of a good size. This Lovely Property has Air Conditioning, White Goods are included in the sale price and Furniture is available by negotiation. The Very Well Maintained Development offers a Large Communal Swimming Pool that is surrounded by vast sunbathing areas and landscaped gardens. There is also Ample Residents Parking Area. 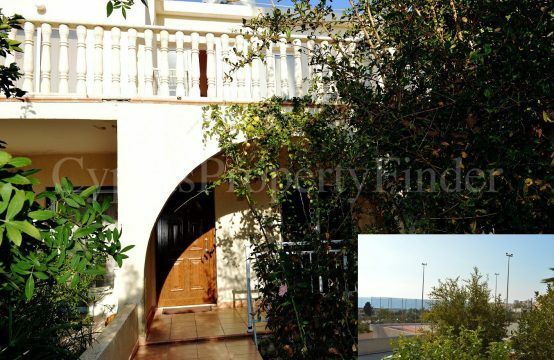 This Property is ideal as a rental investment, holiday home or permanent residence.